Just as in the United States, other countries around the world make a variety of beers. They cover a wide range in price, type, and batch size with enough variety to keep any beer lover busy for a long time. Brewed in Jamaica, Red Stripe Lager has a tagline of "Jamaican Pride in a Bottle." Red Stripe is an amber lager with an ABV of 4.7 percent. It's made with pilsen malt, cassava starch, and hops. The company Desnoes & Geddes (D&G), which is owned by Heineken, brews the beer. A 12-pack of 12-ounce bottles costs around $12. D&G was founded in 1918, and the company brewed the first beer branded as Red Stripe in 1928 according to the beer's website. The beer has earned multiple Monde Selection gold medals for taste and quality. Imported from Dublin, Ireland, Guinness Draught is an extra-dry stout that was developed in 1959. It is 4.2 percent alcohol by volume (ABV), and the beer is nearly black in color with a creamy head. It costs about $8 for four 15-ounce cans. Guinness's original brewer, Arthur Guinness, signed a 9,000 year lease on Dublin's St. James Gate Brewery in 1759, and it remains the home of Guinness beers, although they are manufactured around the world. Arthur himself never brewed a stout - he was more into porters. Guinness is one of the brands from parent company Diageo, which also includes other beverages like Don Julio, Crown Royal, and Baileys. Diageo came into being in 1997 with a merger between Grand Metropolitan Public Limited Company and Guinness. The beer was developed in honor of the 200th anniversary of Arthur Guinness's 9,000 year lease singing. The stout is specifically designed to have a creamy head, and the pour is everything. It's available in a can, and you can make your own perfect pour. 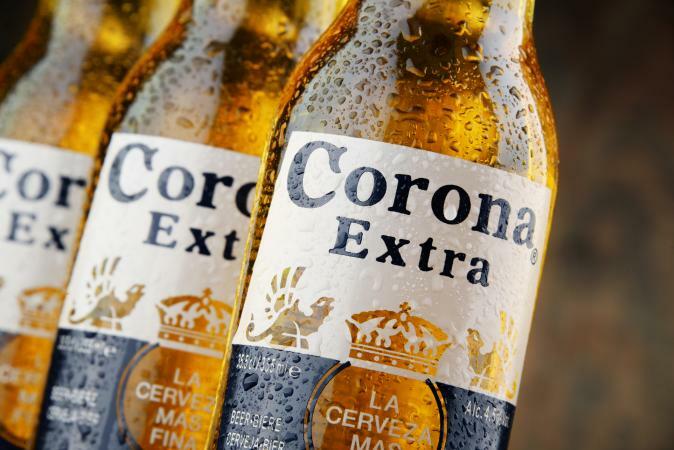 Brewed in Mexico, Corona Extra is the top selling imported beer in the United States. In 2013, U.S. sales were $1.44 billion dollars. In a single year. The beer is a pale lager with a characteristic "skunky" aroma and taste. Many people drink it with a lime wedge. Grupo Modelo, a subsidiary of Annheiser Busch, owns the label. Coronoa Extra is widely available in grocery and liquor stores and sells for about $12 for a six pack of 12-ounce bottles. Coronoa Extra is the top selling Mexican beer in the world, exporting to more than 150 different countries. The beer was first bottled in 1925 and it was first exported to the United States in 1981 according to Crown Imports, the US importer of the beer. Surfers and college students who had traveled to Mexico and consumed the beer there quickly made it a success in the U.S.
Crown Imports notes the beer has 4.6 percent A.B.V. and it's made from malted barley, hops, corn, yeast, and filtered water. 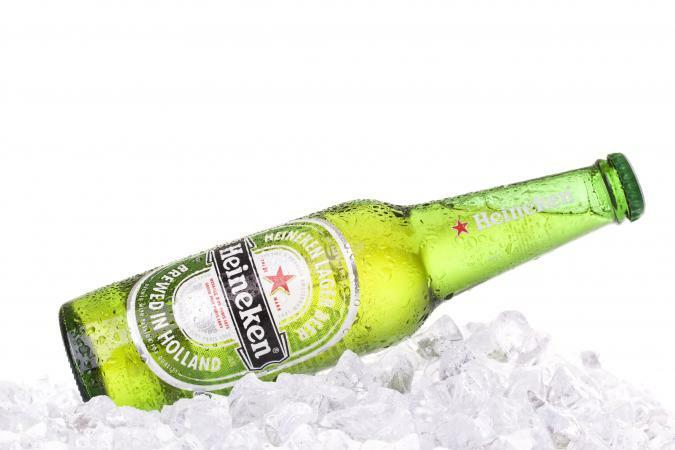 Brewed in Amsterdam, The Netherlands, Heineken was the second most popular imported beer in the United States in 2016, selling more than $260 million for the year according to Statista. Like Corona, Heineken is a pale lager. Heineken, N.V. is the parent company, which also exports Amstel and Red Stripe. 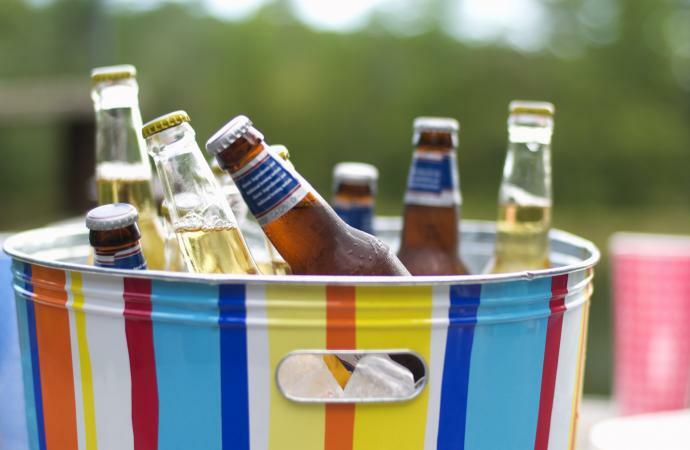 A six-pack of 12-ounce bottles costs around $8, and it is readily available in most grocery and liquor stores. Gerard Heineken founded the brand in 1864 when his mother bought him an Amsterdam brewery called De Hooiberg (The Haystack). It was one of Amsterdam's largest breweries and had been around since 1582. The company began exporting to the US in 1914, and had to stop during prohibition. The family retains ownership in the brand. Labatt Blue is a Canadian Pilsner brewed in Ontario, Canada and is the world's best selling Canadian beer. Statista notes sales in 2016 in the U.S. at $35.4 million. 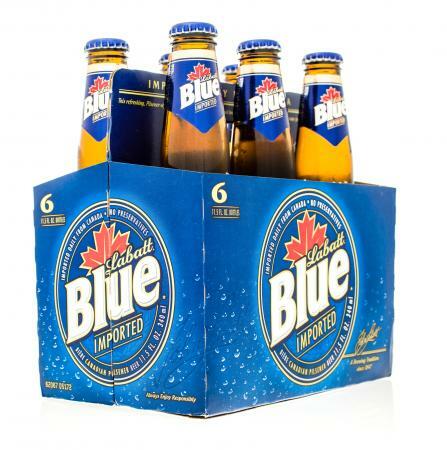 It's made from "Hallertau hops, 2-row malted barley and pure Canadian barley," according to the Labatt website. Labatt's parent company is Anhauser Busch. A 12-pack of 12-ounce bottles costs about $10. In 1847, John Labatt partnered with Samuel Eccles and purchased the Simcoe Street Brewery, forming the Labatt Brewing Company. In 1878, a Labatt Pale Ale won a gold medal at France's International Exposition. Brewed in Australia, this lager's sales in the U.S. in 2016 were $26.9 million according to Statista. 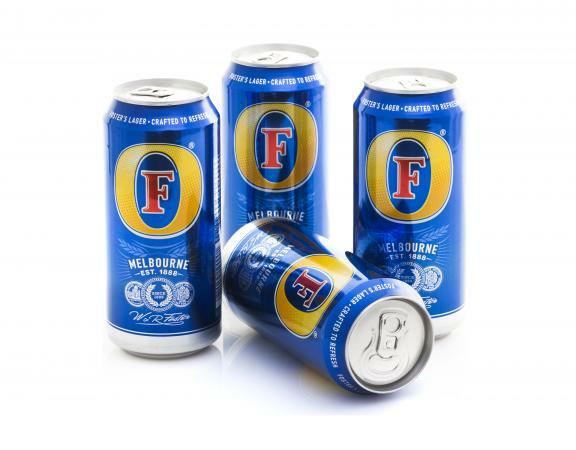 Fosters is the flagship beer export for the company Foster's Group Limited, which also owns the Matilda Bay Brewing Company and Greg Norman Estates. Foster's Group Limited's parent organizations are Annheiser Busch and SAB Miller.The ABV is 5 percent. A 25.4 ounce can costs about $3. Brothers Ralph and William Foster created the company in 1887. The company website notes the beers characteristic 25.4 ounce cans, which came to the United States in 1972, resembled oil cans and thus earned the nickame, "oil can." In 2015, Draft magazine listed Japan's Echigo Koshihikari Rice Lager as one of "10 Imports You Need to Drink to Really *Get* Japanese Beer." As the name implies, it's brewed with rice, unusual for any beer. Echigo Beer Company, whose parent company is Uehara Shuzou Co. Ltd. brews it. A 2-pack of 12-ounce bottles cost about $8.50. According to Beer Advocate, it is brewed with Japan's finest rice, Koshihikari short grain rice. Beer Advocate also notes this is the only rice that can produce the unique flavors in this beer, which Draft notes "evokes orchid blossoms and springtime." This microbrewery in Valls De Torrella, Spain, exports multiple styles of craft beer including an IPA (IPA Amarillo, which is 6.5 percent ABV), an Imperial Stout (Mr. Petroli, which is 9.0 percent ABV), a half IPA (Dr. Calypso, which is 5.2 percent ABV), a wheat IPA (WIPA, which is 6.8 percent ABV), and an Indian Saison (Sorachi Madness, which is 5.8 percent ABV). Ca L'Arneys owns the microbrewery. While you can't find the beers online, the U.S. importer, Shelton Bros, does have a store locator. Pricing information is not available. The microbrewery is in a textile colony on the Cardener River. The Shelton Bros note Ca L'Arneys started as a home brewing equipment and supply company in 2007 and decided to brew their own label after demonstrating some equipment. In 2013, Bon Appétit listed Guineu as one of the top ten best new import beers. Men's Health called this one of the 50 Greatest Beers in the World. Brewed in Freising, Germany, it's a Hefeweizen wheat beer with a 5.4 percent ABV. Beer Advocate gives it a 98 out of 100 points score, calling it a world-class beer. The parent company is Bayerische Staatsbrauerei Weihenstephan. A 16-ounce bottle costs about $3.50. Weinhenstephaner Hefeweissbier is brewed in the world's oldest brewery, the Bavarian State Brewery Weihenstephan. The brewery started in a Benedictine Monestary that was founded in 725 CE. 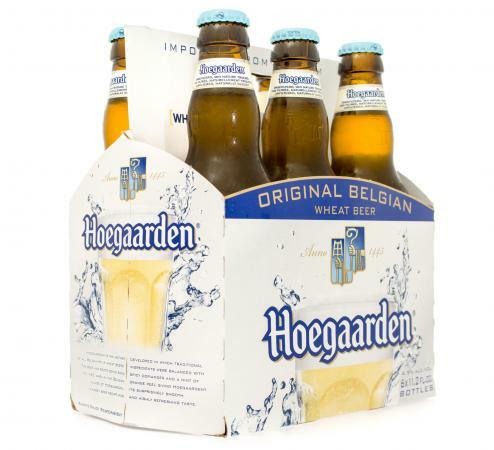 Another of Men's Health's 50 Greatest Beers in the World is the Belgian white ale, Hoegaarden, which has a 4.9 percent ABV. The parent company is Brouwerij van Hoegaarden. A six-pack of 12-ounce bottles costs about $11. The brand started brewing beer in 1445 according to the company website. The company website also notes that because wheat beer was known to be so bitter, monks at Hoegaarden started experimenting with orange peel and coriander, which are notes still used in the recipe for the white ale today. 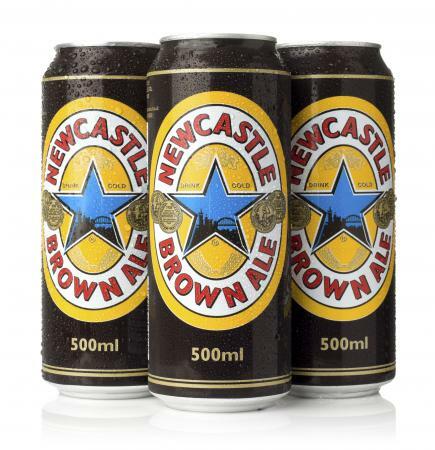 A porter from Scotland, Newcastle Brown Ale sold 38.2 million in the United States in 2016 according to Statista. Brewed by Heinken Nederland BV, Newcastle Brown Ale has a 4.7 percent ABV. An 18.6-ounce bottle costs about $3. In 2015, the brewer changed the recipe to keep Americans happy because customers feared the caramel coloring might be carcinogenic according to an article in Telegraph. Telegraph also notes the beer was first sold commercially in 1927, and the day after its launch local police asked to have the formula made weaker because their cells were full of drunks. This imperial coffee stout from Quebec, Canada as 9.5 percent ABV according to their importer Shelton Brothers Inc. It's brewed by Brasserie Dieu du Ciel! (God of Heaven). Pricing information is difficult to find, and it isn't available online, but you can use the Shelton Brothers store locator (linked above) to find local buying options. Jean-François Gravel is the brewer, and although he has no formal brewery training, he is passionate about making beer. He started experimenting with microbrews in 1991, and opened his restaurant and brewery in 1998. Import brews are growing in popularity in the United States. With this growth, it is possible in many bars and clubs across the country to try some of the best the world has to offer. So stop by your local liquor store and visit the import section or ask your local bartender which imports you should try.